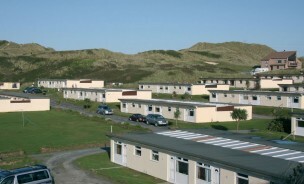 Beachside offers a variety of self catering holiday accommodation, each fully equipped with all the essentials you’ll need for your holiday and within easy reach of our holiday park facilities. Our holiday accommodation is furnished to a range of styles and finishes, from our comfortable, affordable chalets to our luxury bay view lodge. Designed to comfortably accommodate two couples or a family with children, our range of welcoming accommodation all have two bedrooms; one double and one with a double and bunk beds. 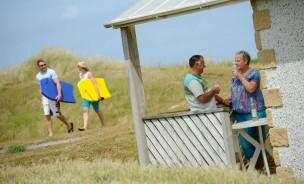 Opt for a chalet plus with a covered patio, or for extra privacy choose a detached bungalow or spacious dune lodge. As a dog-free holiday park, Beachside provides a safe and relaxing environment perfect for families and couples, right on the beach in St Ives Bay, Cornwall. Whatever your choice, you’ll find all that our holiday park provides right on your doorstep and the breathtaking expanse of the Cornish coast beyond. Free high-speed WiFi is available in the bar and in the area around the shop, reception and main building. Free high-speed WiFi is also included within our dune lodges, seafront lodges and bay view lodge. Our economical, self catering chalets are centred around a patio to provide a private covered space. The conservatory style roof allows for that indoor/outdoor feeling. All chalets are designed with the family in mind. New in 2014, Chalet Plus has refurbished living and kitchen areas. Economically priced, Chalet Plus is a spacious space where the family can feel at home. With an all-weather conservatory roof and private patio area too. New and luxury seafront lodges are unrivalled for their location and view of the bay. Each open plan lodge includes all modern amenities, a private veranda, double glazing and is finished to a high standard, with bedding provided. 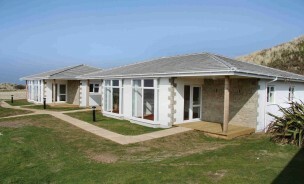 Set between the rolling sand dunes, these popular,detached self catering holiday bungalows enjoys a beautiful sea view of St Ives Bay and offer added comfort with a secluded private veranda. Airy and spacious, our luxury self catering holiday lodges are fully double glazed for extra warmth and finished to a high standard. 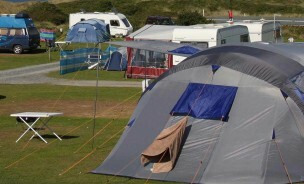 Our touring caravan and touring pitch campsite is set near the centre of Beachside Holiday Park, just a short walk from the sandy shore of St Ives Bay, Cornwall.